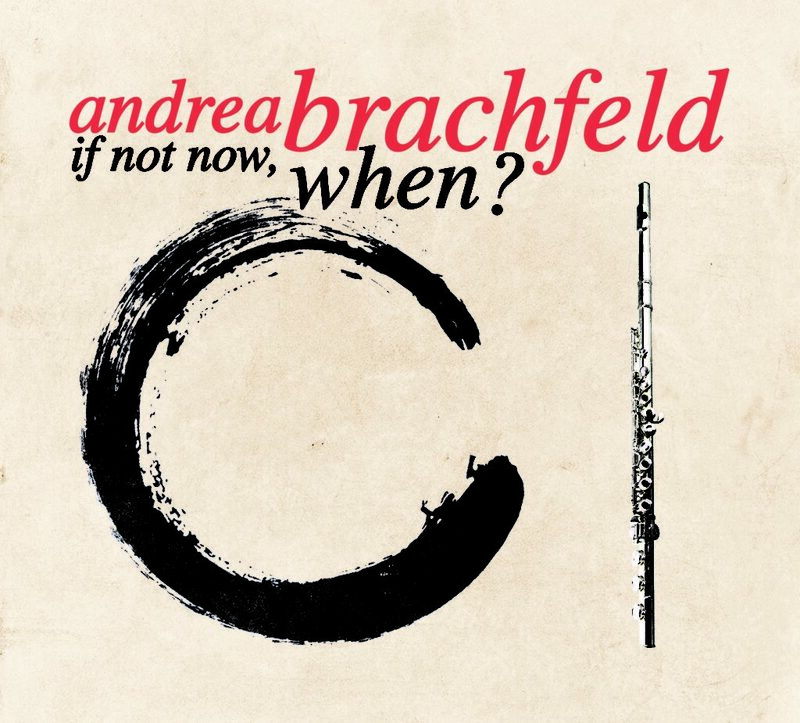 On an instrument most often sought for its breathy beauty, Brachfeld boasts what the late New York Times critic John S. Wilson described as a “vigorously dark, gutty quality.” It’s no wonder that the first jazz flutist to turn her head was free jazz pioneer Eric Dolphy. In her music, that energy she described can pour out to bruising effect. If Not Now, When? was produced by Andrea and her longtime collaborator Bill O’Connell, whose deep-in-the-keys lyricism at the piano and gut instincts as an arranger suit her to a T. For this project, Brachfeld said, Bill initiated a new approach. “You write the melodies and I’ll write the harmony” she recalls discussing with O’Connell, an expression of great mutual trust. When she first brought in her pulsating song, “Steppin,’” she had four or five parts in mind. O’Connell suggested they just do the first part and then “play.” The eight-bar melody breaks into high-stepping improvisations before settling into a shifty groove with bassist Harvie S, longtime duo partner of Sheila Jordan, and drummer Jason Tiemann. Not until the session was nearly over did Brachfeld pull from her bag of compositions “Anima Mea,” which she describes as “a simple folk tune with sheets of sound.” No problem: “Bill harmonized it within five minutes” and the quartet whipped it into a kind of McCoy Tyner homage. She went on to study flute at the Manhattan School of Music, where her teachers included Harold Bennett and Andrew Loyla. She also studied privately with Hubert Laws, Eddie Daniels, and George Coleman during that time, and her fellow students included Kenny Kirkland, Fred Hersch, and Angela Bofill. “I tried playing saxophones in the course of my early career, but I didn’t like what they did to my sound,” she says. After sitting in with Lloyd McNeil, fellow flutist who also studied with Eric Dolphy, at the Tin Palace in the Bowery in 1974, she met Mauricio Smith who connected her to Tipica New York, a Charanga band—“the beginning of my Afro-Cuban musical influence.” She worked with various name bands and got to sit in with a trio of immortals: Tito Puente, Ray Barretto, and Machito. A grant from Chamber Music America and the Doris Duke Charitable Foundation for the CD— “a wonderful affirmation”—assured her she was on the right path. So did numerous opportunities to perform at the Havana Jazz Festival, perform and teach master classes in Croatia, and otherwise make her presence felt on jazz’s world stage.